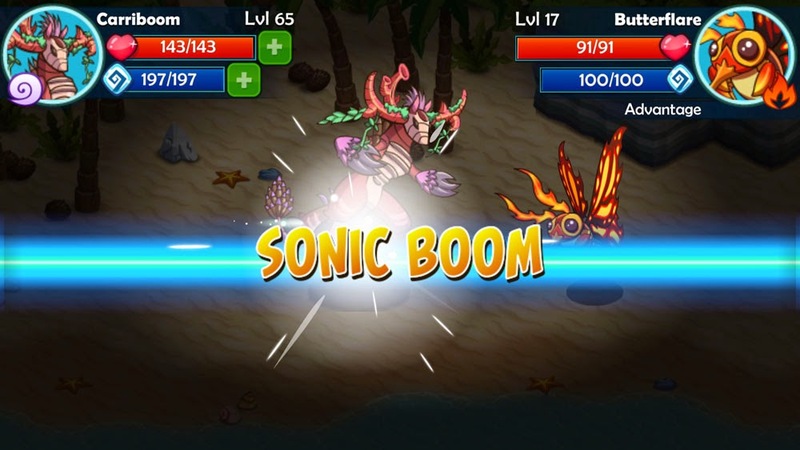 Monster Legacy on the IOS looks to take the formula made successful by the Pokemon franchise and bring that experience to the mobile platform. So will this convince you to start capturing and battling on the go? Or is this niche best left to the people who paved the way? For those familiar with the Pokemon series of titles, Monster Legacy will feel very familiar and players will be able to comfortably adjust to its gameplay, however for those who aren't its quite simple to pick up and learn as you go along. Right off at the beginning of the game, you are prompted to pick between a boy and girl, give them a name and begin your journey. At the start you are presented with your starter monster which you use to get your feet wet initially, however as you dive deeper, you’ll find yourself catching, training and owning a lot more, all with different abilities and types. Battling is pretty similar for Pokemon players, however with a couple of differences that allows Monster Legacy to really help it stand out on its own. In terms of starting a battle, there are NPCs around that may challenge you, as well as running around in the grass until one starts automatically. So now you’re about to duke it out and not sure how to approach it, well for starters the type of Monster you are using is important and whether it’s at an advantage or disadvantage. Essentially it keeps it at the bare basics and is really good for players who are new to this sort of system, however for those who are more experienced in these types of battles via RPG’s or Pokemon itself, they may find it lacking due to the amount of options to choose from. Catching Monsters is pretty simple too and this is done through the use of boxes called Traps. Once a trap is thrown, the Monster is sucked inside and whether it pops out or not depends on a couple of things. The first being the opponent’s health, it practically needs to be below 5 to make a successful capture and secondly, the kind of trap you are using. The traps differ in terms of their effectiveness shown by the percentage chance you’ll be able to get the monster, so unless you go for the sure kill, you’re more or less playing chance. Looks like Guile of Street Fighter has been teaching Monsters his moves. Once you complete your first quest, you are deemed worthy to have your own ranch, this place is like your monsters rest and relaxation area, where you keep and care for them, bring their health and magic back up and construct different facilities for energy production or items such as Fire and Water Orbs. The only time you’re required to be here is at the beginning of the game, however as you go deeper, having these different facilities constructing materials will become helpful later down the line. Visually, Monster Legacy is presented in a way that’s clean and makes sense, making use of a bright palette and bold outlines to help the characters and world stand out, and while this works it also made it look a little plain at the same time, lacking details where it could have really used it. One of the first things I became worried about when hearing about this game were how the monsters could potentially look like? Could we be seeing a lot of similarities to the ones from Pokemon? Gladly we do not as the developers did a great job in making sure each and every Monster is unique. Explore the world of Arborea! There is no voice acting in the game, however this necessarily doesn’t hinder it and quite frankly, it doesn’t need it with lines being provided via text instead. The soundtrack was something you would expect from a game of its kind and provided that feeling that you were going on a big journey, however most of the time it felt as if I was listening to the same thing over and over again. The world of Arborea is seen via a map that can be accessed in game. This map serves as the point to travel to different locations, some of which are only accessible after completing a certain number of quests from a previous place. What I really like about it, is its no nonsense design, making it really easy to go from A to B, something important when considering that the game’s been designed to be played on the go. While there seems to be a lot of options available to you, at some points I felt that the screen was cluttered with too much of it and didn't really allow me to embrace the world I was travelling in. On the iPad this may not be such a problem, however when playing on something such as the iPhone which has a much smaller screen, it can become really difficult to press certain buttons. If there is anything that could be missing from the game right now, it’s definitely the ability to battle other people via multiplayer, however I’m sure something like this seems pretty obvious to the developers and will be addressed later down the line. 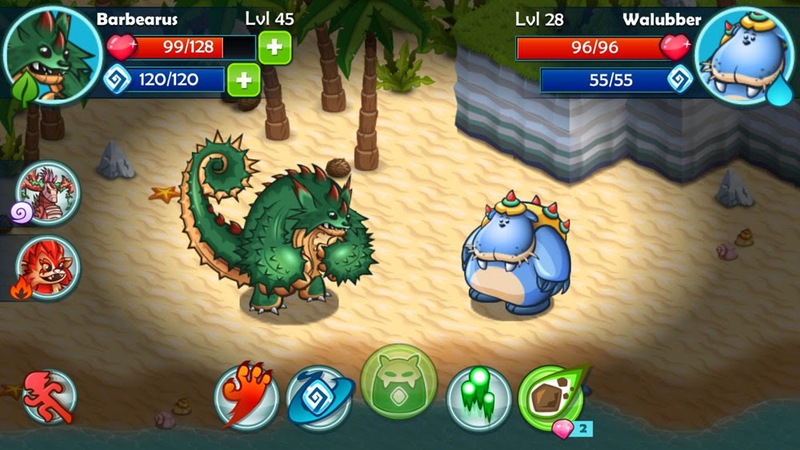 For what it’s worth, Monster Legacy proves that a game of its type can work on the mobile platform and makes us wonder why no one has thought to bring over something similar before. 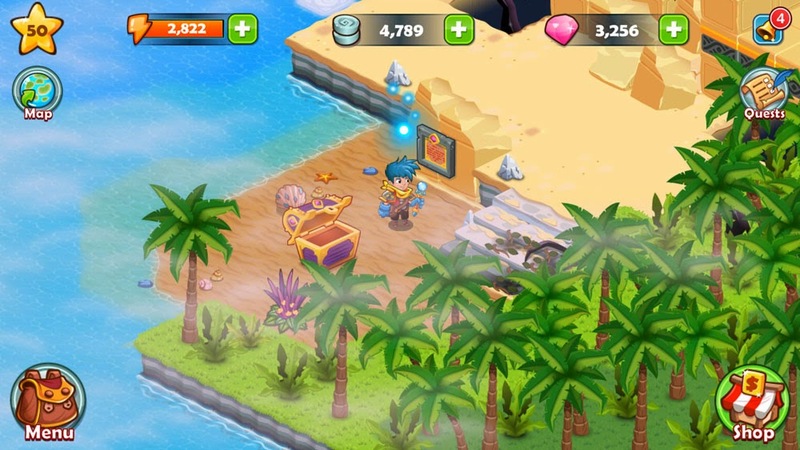 Collecting monsters is an absolute joy and being able to go on quests and travel the land is a seamless and stress free experience, something which I find very important as you’ll mainly be playing on the go. Hopefully in the future we’ll be seeing the addition of a multiplayer which I believe will allow battles to become much more exciting. Had a chance to play Monster Legacy? Let us know what you think of the game over on our social channels!